This month we are pleased to announce our first educational tasting series here at the tea room. Join us Thursday evenings at 5:30pm for a guided journey through the world of tea! I will personally be serving teas from various categories and regions and leading a discussion on the science, history and culture behind different teas. These are free events, though of course we encourage you to pick up some loose leaf to take home while you're here! 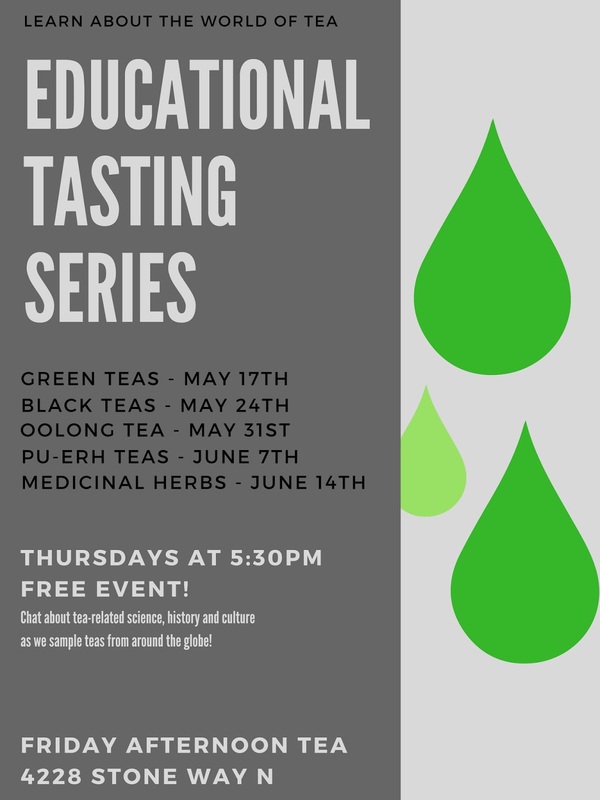 Our first educational tasting session is scheduled for Thursday, May 17th at 5:30pm and will focus on green teas. We'll experience toasted and steamed, high and low altitude green teas, side-by-side for an enriching look into what it means to be green.